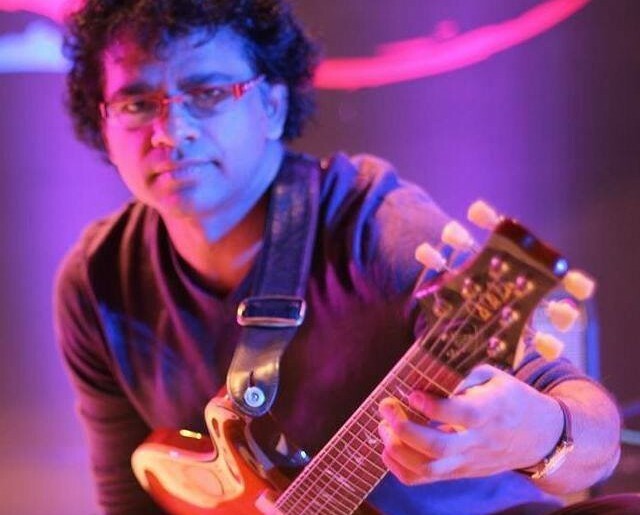 When his iconic composition Ragabop came out on the CD ‘Be the Change’, the guitar community and the jazz world hailed Prasanna as a unique phenomenon. Magazines like Downbeat, Jazz Times and a lot of others heaped praise on the track calling the song even ‘supernatural’. Numerous bands across the world have covered Ragabop. Ragabop also symbolically refers to Prasanna’s potent mix of Raga elements and bebop influenced Jazz. For his Nov 5th show, Prasanna will revisit Ragabop and other favorites from Be the Change like Ta ka Ta ki ta Blues, Bliss Factor etc alongside some power packed songs from his latest album ‘All Terrain Guitar’ giving the show the full energy fusion of Carnatic, Jazz and Rock that made him a signature name. No Replies to "REMEMBER RAGABOP"